← Well Another One Bites The Dust! 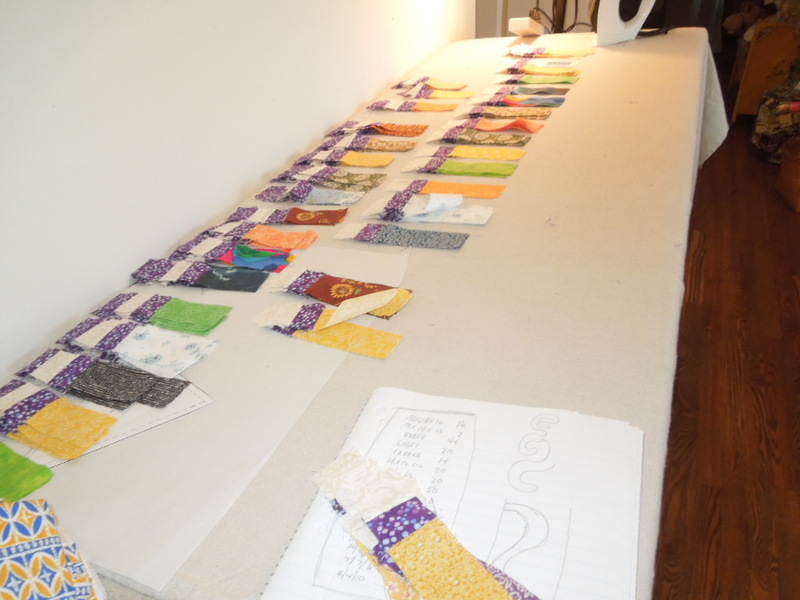 Well not many posts about my projects because I have been involved with trying to finish up this quilt I started several years ago as a group project. 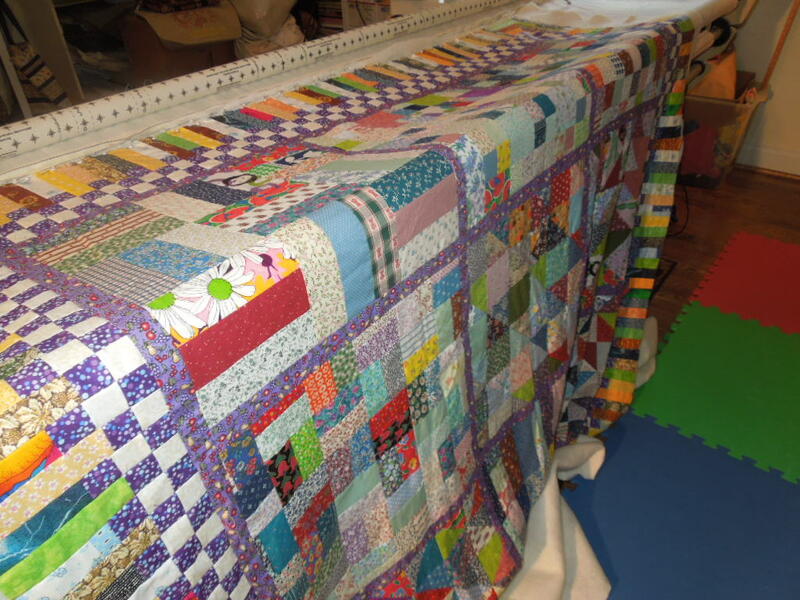 Linda, aka Agent Wade cut all the pieces out for a group of ladies in a guild I used to belong to and they all finished their quilt and I had all of mine finished but the piano keys for the border. I put mine up because for two years we were involved in having a new house built. 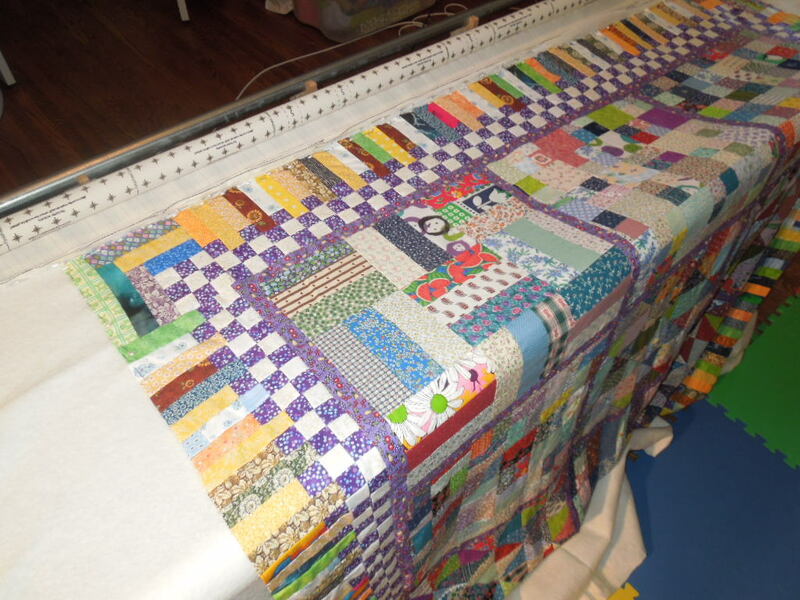 If any of you have ever done that you know it is planning, picking and hoping all turns out well which it did and then moving in and I lost some of my luster on sewing during that time but it is coming back. All my creativity was moved to another direction. That is over and it is coming back. I decided to pull out the top and get started. 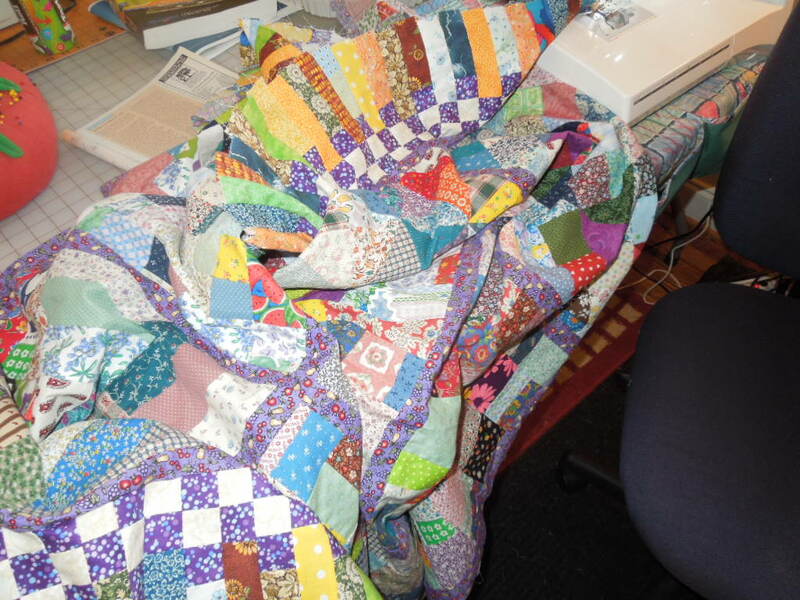 Never in my life have I been so tired of sewing these tiny pieces together. The first thing was measuring the batting for the top. I tell you I love this Hobbs batting but it is like wrestling with a bear. 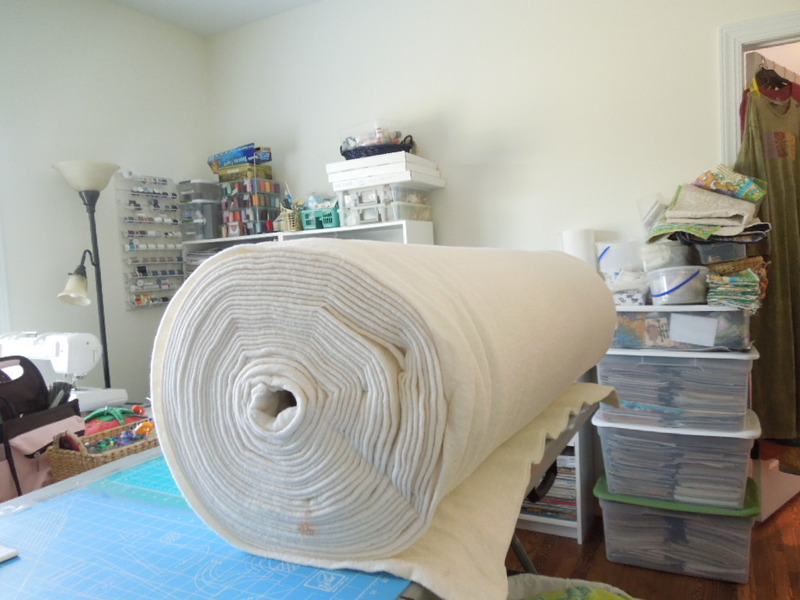 I am 5’4″ tall and this roll is almost as tall as me. I made it with the help of Little Precious ( Gary). I interview thread like it was applying for a job. 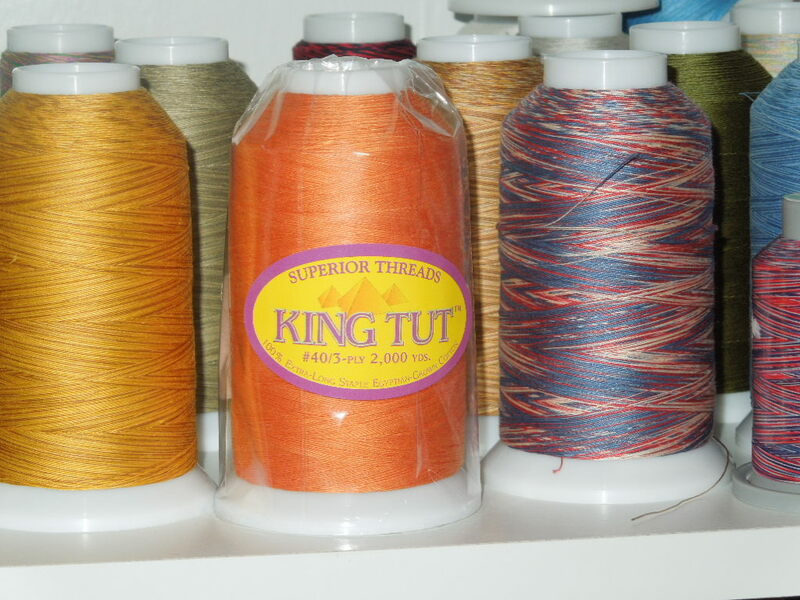 I love KING TUT. 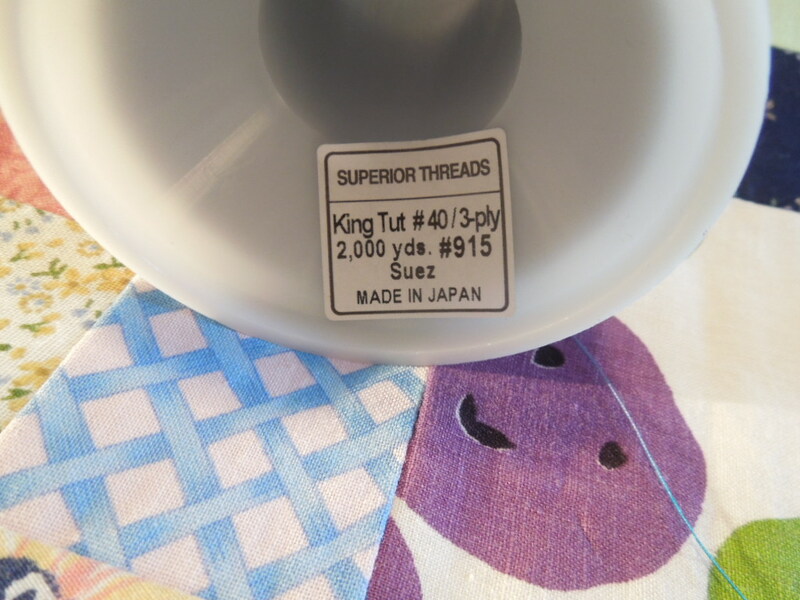 My favorite brand of thread to date. I got them all lined up like a bunch of toy soldiers. 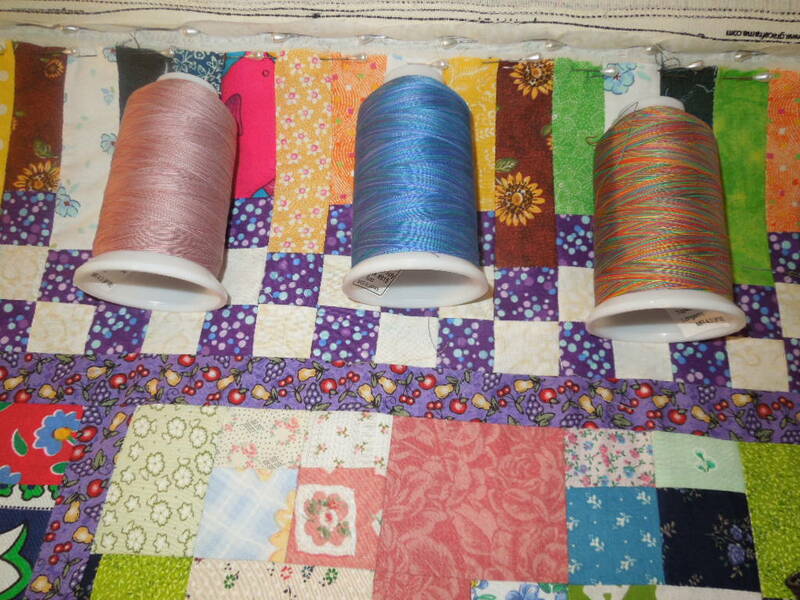 Quilt loaded. I float the top and batting. I find I have better control. 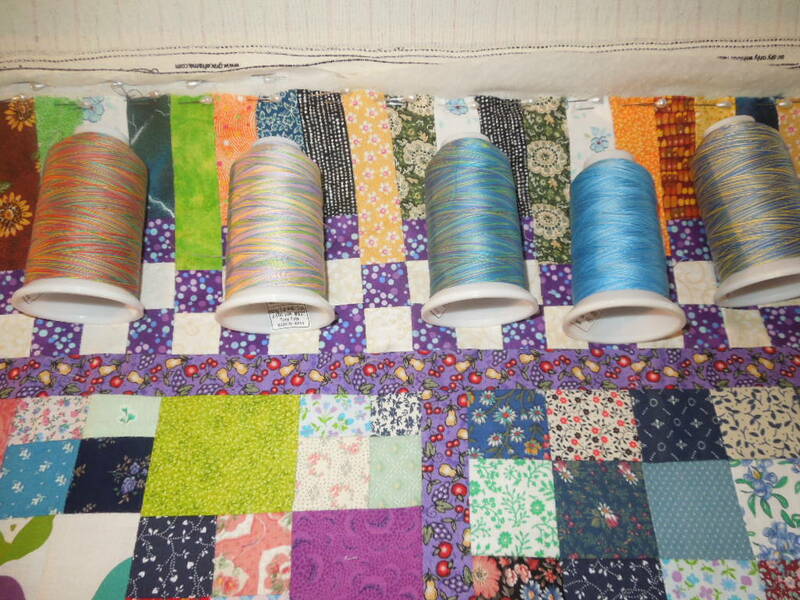 Now to fill up bobbins. 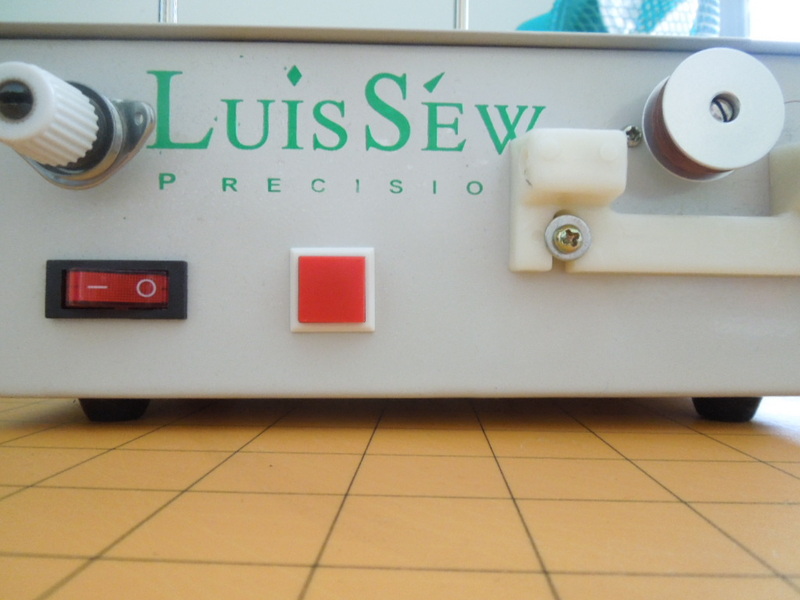 I love my Luis Sew. When I first got it I had to unscrew the screw you see here adjust the slot so it would not over fill. 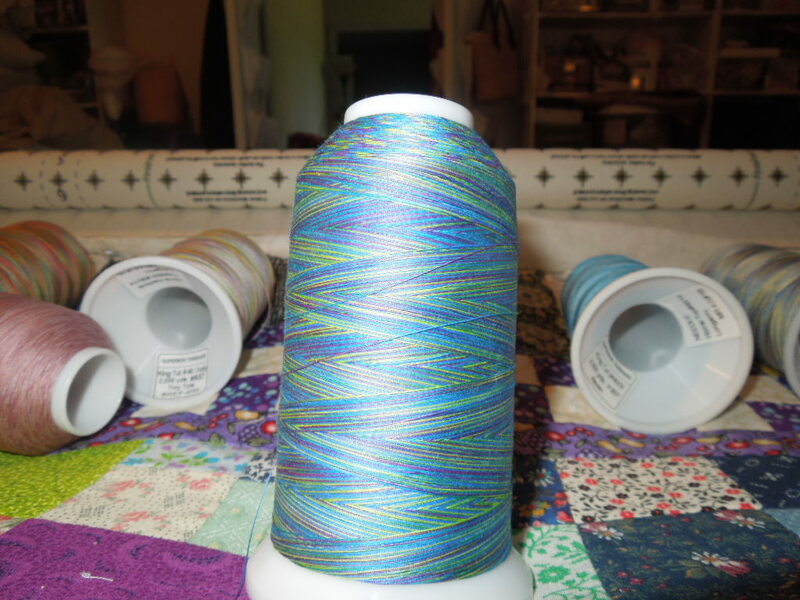 Now to check Bobbin Tension. I have spent months reading online looking at Jamie Wallen videos and others on how to adjust the tension. 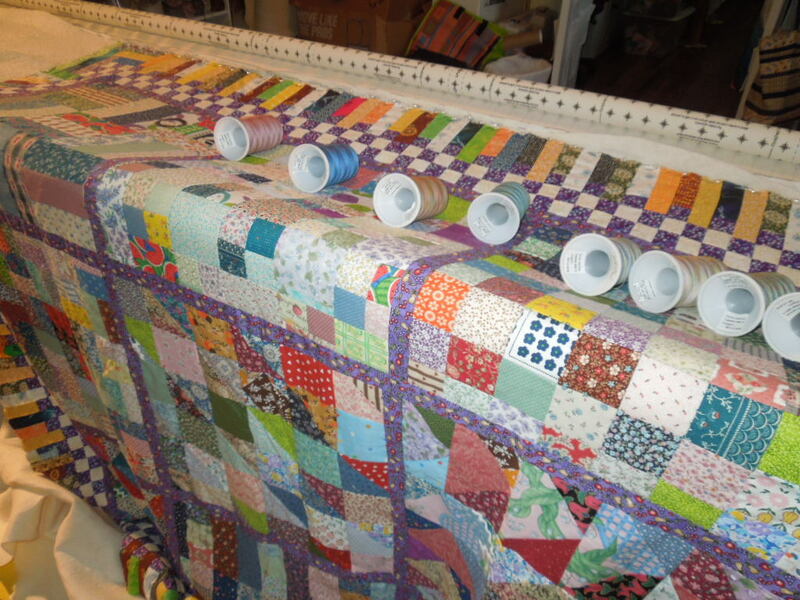 To me that is the only drawback of a Long Arm quilting machine. In my famous words “If we can send a rocket to the moon, test tube babies, heart transplants there should be some genius to develop a machine that self adjusts tensions and has about a 3 foot cone under the machine to keep the bobbin full at all times.” AMEN! 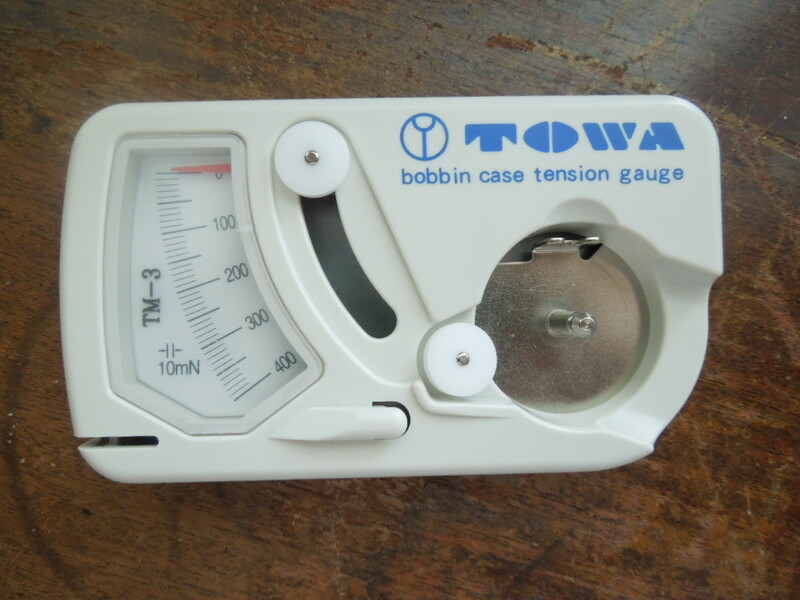 I do love my Towa tension gage. 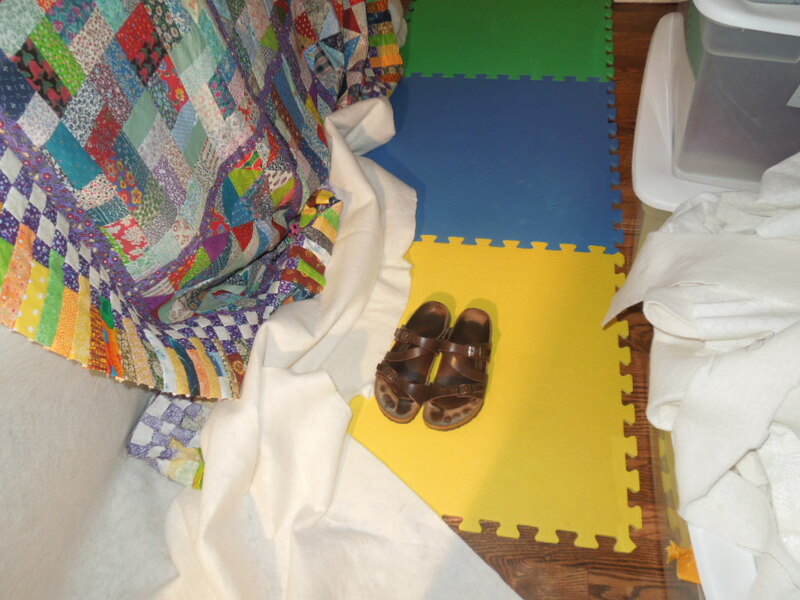 I ALWAYS take my shoes off when loading a quilt and whenI am quilting. I just can not stand to accidentally step on something I have worked so hard to make. To me this is just like me scrappy or as I always say “I am just an old Raggedy Ann living in a Barbie Doll world.” I love scrappy. I will show you the finished product hopefully by Friday. Until then I hope you enjoy a sneak preview of coming attractions!